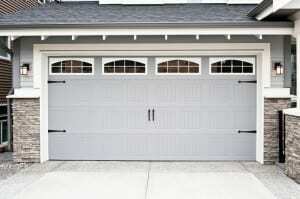 Replacing your garage door is one of the fastest and most effective ways to improve the curb appeal of your home. The garage door is the largest door in your home, and that large size makes it one of the most visible features of your home. A quality garage door sends a message of understated elegance and good taste, while a chipped, stained or outdated garage door conveys the opposite message.